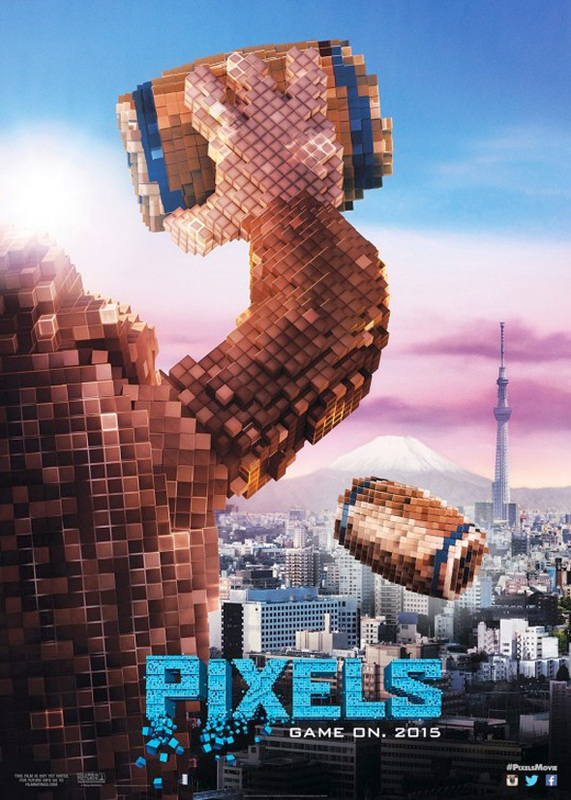 The first trailer for Adam Sandler's video game adventure comedy Pixels is coming with The Hobbit: The Battle of the Five Armies this week, but before we get a good look at the summer movie coming next year, three teaser posters have arrived showing some familiar video game icons attacking around the world. 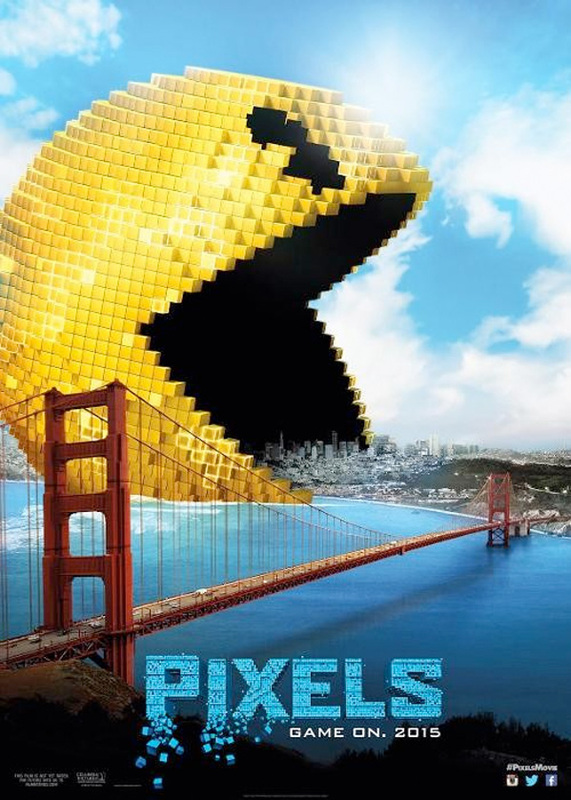 Pac-Man, Space Invaders and Centipede can be seen attacking San Francisco, Paris and London respectively, and it looks like the aesthetic of the video game invaders from Patrick Jean's original short film has been kept mostly the same, though the giant 8-bit characters do look slightly more polished. Look now! 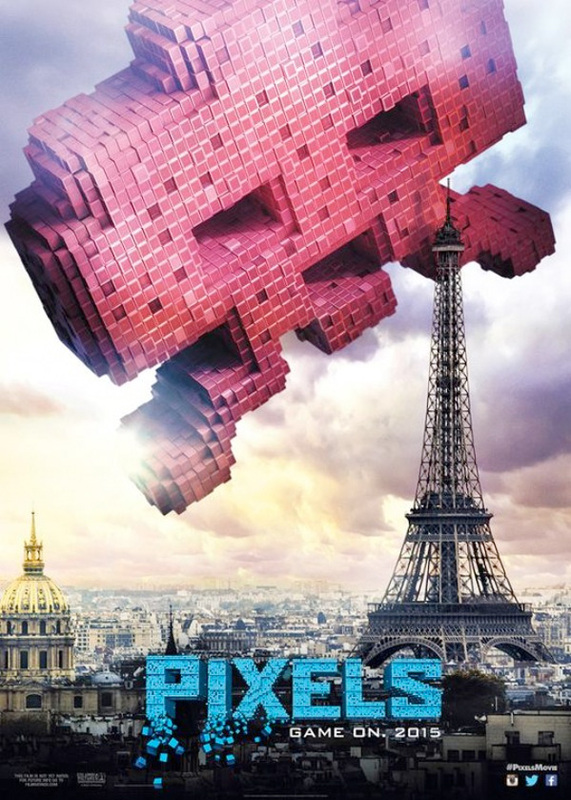 Get your first look at Adam Sandler and the rest of the cast of Pixels right here. 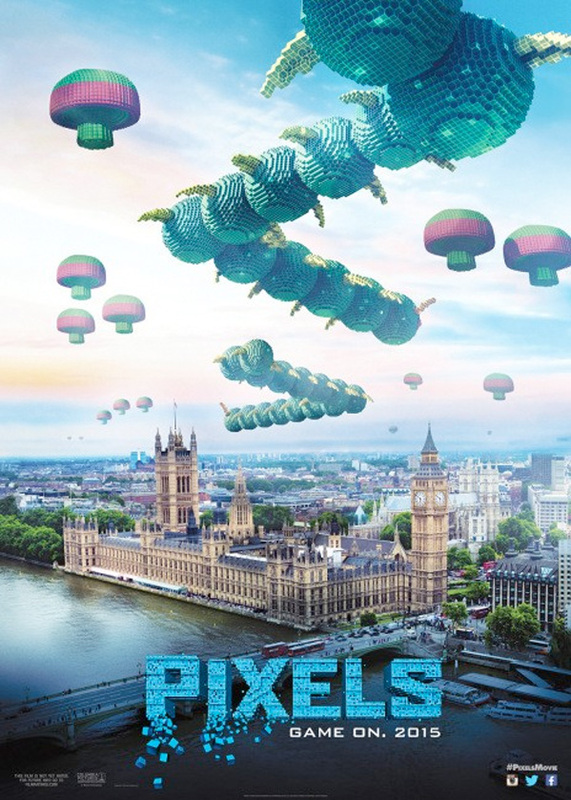 Pixels is directed by Chris Columbus (Home Alone, Harry Potter and the Sorcerer's Stone) and written by Timothy Dowling (Role Models, This Means War) and Adam Sandler, based on the 2010 short film of the same name. When aliens misinterpret video-feeds of classic arcade games as a declaration of war against them, they attack the Earth, using the games as models for their various assaults. President Will Cooper (Kevin James) has to call on his childhood best friend, '80s video game champion Sam Brenner (Sandler), now a home theater installer, to lead a team of old-school arcaders (Josh Gad, Peter Dinklage) to defeat the aliens and save the planet. Columbia Pictures releases the film in the middle of summer July 24th, 2015. I hope DIG DUG gets a shout out.